Update: David Hawkins is dead. His daughter inherited his estate and is now makes his name and everything trademarked... Quite disturbing and stomach churning... Scarcity thinking. But of course... The vibration of this behavior is 100. And so is the science it protects. Low vibration, low consciousness. It knows nothing about how emotions are created, how they are culturally maintained, and it is simply b.s... as in wrong, inaccurate, and misleading. 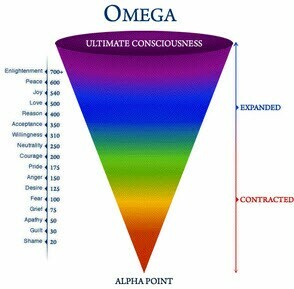 In reality, what the vibrational number measures is how much of reality you can see, accurately, including your own self. Accurately, I said, and that is the key word. That is what I measure, because that is what decides how effective you are in life at attaining the good life in the four pillars of the good life: wealth (money), health, love and happiness. The approach to what levels of vibration I recommend that you consider each level like a level of a building where you view life from. The higher the floor the more you can see the context, the big picture, cause and effect, and thus you are going to be able to make better decisions, and have a clearer picture of what you are dealing with. The world looks very different from a different height. You will appear more confident, more calm, more intelligent, more considerate to other people, but more importantly, you will make less mistakes, will hesitate and worry less, and will be less affected by the moment to moment abrasiveness of the world. The method I use to raise your vibration is a combination of a harmonious energy, I call Avatar State energy, and a distinction through which you tease out what is keeping you out of balance, out of harmony, out of being in sync with the Original Design, the harmonious magnificent being of a Human Being. Your best way to find a path is to send me a donation to check your vibration AND ask for the perfect activator for you... 80% of all people are able to raise their vibration... I hope you are one of them. Here is the payment button for a donation of $15 or more... I will look what would be your next step to remove blockages and help you climb higher on the tree of consciousness. How to raise your vibration? 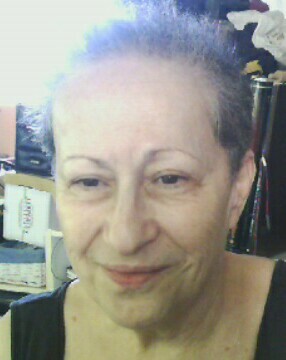 I sent a donation of $2.oo and have not recieved my vibrational reading. The secret of my productivity is that I don’t leak energy: I talk to two people a week, once to each. So anything that there is to say has to come out somehow, and it comes out in writing. No dispersing of energy. payments come through normally, in spite of the paypal warning. I have already sent you my reading of your vibration. Im not sure if I ordered correctly. Registering isn’t working for me but PayPal worked. May I also have your suggestion for a path? I got your order. thanks. I sent the payment but did not receive the vibratzion analysis. I am sure you think it is some software program that does that… am I correct? Well, no software, no instrument can do that. You need a live true-empath… me. And I am busy right now. Also what is J krishnamurti’s vibration number? your attitude is not welcome here. I have refunded your donation. you probably think that saying good things about people is high consciousness.